About travel & food. And Brussels. 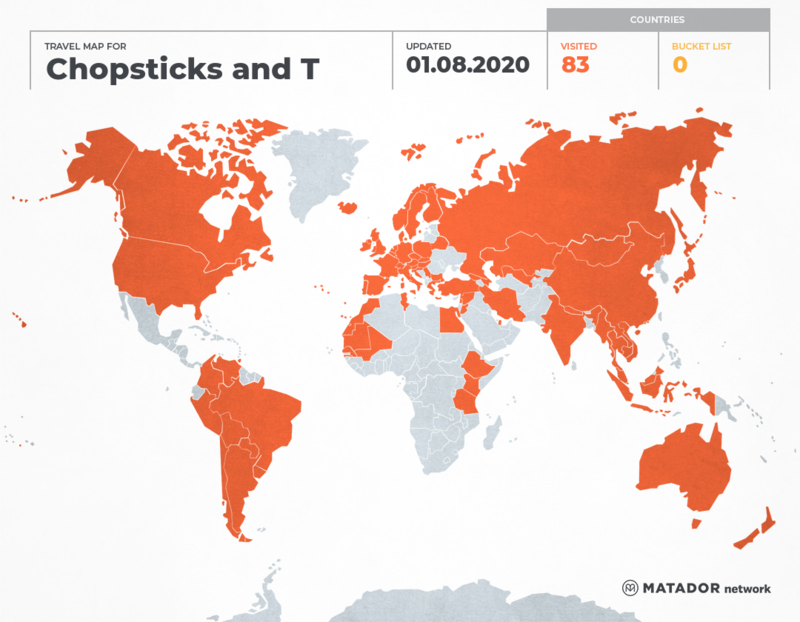 Chopsticks and Trains has been to: Argentina, Austria, Australia, Azerbaijan, Belgium, Bulgaria, Bolivia, Brazil, Belarus, Canada, Switzerland, Cook Islands, Chile, People’s Republic of China, Serbia and Montenegro, Czech Republic, Germany, Denmark, Egypt, Spain, Ethiopia, Finland, France, United Kingdom, Georgia, Hong Kong, Croatia, Hungary, Indonesia, India, Iran, Iceland, Italy, Jordan, Japan, Kenya, Cambodia, Kazakhstan, Laos, Luxembourg, Morocco, Myanmar, Mongolia, Macao, Malaysia, Netherlands, Norway, New Zealand, Peru, Poland, Paraguay, Qatar, Russia, Sweden, Singapore, Slovenia, San Marino, Syria, Thailand, Tibet, Turkey, Tanzania, United States, Uruguay, Uzbekistan, Vatican, Vietnam.